His confidence shattered for failing to save his sister’s life, Detective Jay Rawlings insists he be left alone to live the lonesome cowboy life. But when the woman he once loved, Tess MacLean, returns to his ranch with a killer and the police in hot pursuit, Jay suddenly has to face the demons from his past. A past he would change if he could - starting with convincing Tess that their love deserves a second chance. 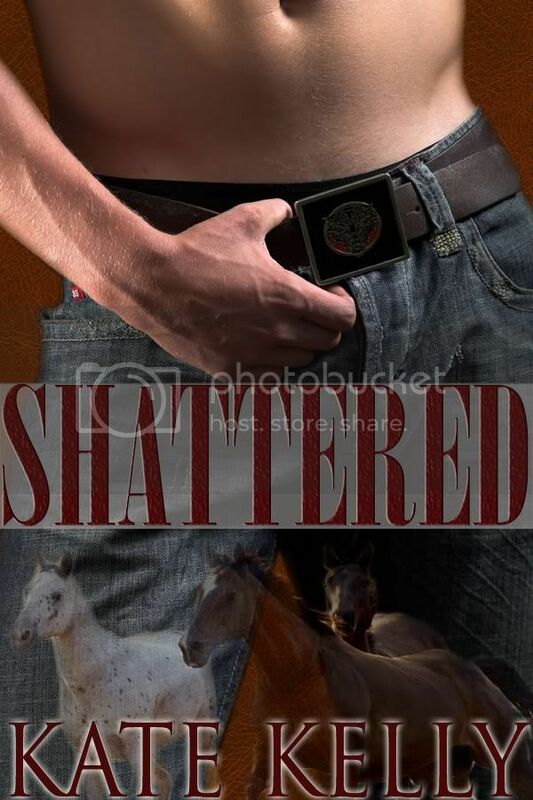 I absolutely love Shattered. This is now one of my favorite romantic suspense novel and I will be looking for more books by Kate Kelly when I get the chance. I read this last night and ended up going to bed a bit later than usual because I was hooked on this book and did not want to put it down at all. If you are looking for a romantic suspense novel look no further. You will love this one. Check out Kate Kelly's website to read an excerpt of this book and where you can purchase it.